The eyelids are one of the first facial features to show signs of aging. Sagging upper eyelids may require an eyelid lift. Puffy lower eyelids can be a distraction from a more youthful and energetic personality. Occasionally, hereditary factors contribute to puffiness of the lower eyelids, even in younger patients. Blepharoplasty is an eye and brow surgery, which can restore vitality to the eyes. During upper blepharoplasty, Dr. Khosh utilizes perfectly hidden incisions to remove saggy upper eyelid skin. In lower blepharoplasty, Dr. Khosh often places the incision inside the lid in order to avoid any scars. Excess fat from the eyelids is removed or repositioned to restore a youthful appearance. Redundant lower eyelid skin can be treated with a pinch excision or with laser skin resurfacing. Swelling or bruising resolves in about ten days, and most patients return to a full schedule within two weeks. Dr. Khosh offers other procedures such as a brow lift, facelift, Botox treatments, laser skin resurfacing, filler injections and fat grafting to complement the results from a blepharoplasty. The overall intent of the surgery is to give you a more youthful and refreshed look. Therefore, it would be beneficial for Dr. Khosh to view some old photographs that could provide a template or model toward which to work. Contact our office today to schedule a consultation with Dr. Khosh. Consultation with an accomplished plastic surgeon of the caliber of Dr. Khosh will also provide you with deeper insight into the beneficial results of blepharoplasty. You will have the opportunity to ask questions and make an informed decision as to whether blepharoplasty is the right treatment choice for facial rejuvenation. This 70-year-old lady sought consultation for eyelid lift in New York. She wanted to address the droopy upper eyelids and the very puffy lower eyelids or bags under her eyes, causing her to look tired. Who is a good candidate for upper blepharoplasty? Patients with relatively good health with redundancy and hooding of the upper eyelid skin, with or without prolapsed fat in the eyelid. While old photographs and current photographs are useful for assessing the success of blepharoplasty, a consultation with Dr. Khosh will confirm whether you are a good candidate for the procedure. During your consultation, we can also discuss combining treatments for an overall youthful appearance. Who is a poor candidate for upper blepharoplasty? Patients with dry eye conditions, or patients with uncontrolled high blood pressure or poorly controlled diabetes. Additionally, patients who must take blood thinners are poor candidates for upper blepharoplasty. As part of the consultation process, Dr. Khosh and his team will assess your suitability for blepharoplasty. If there are other procedures which may help give you a more youthful appearance, the consultation is your opportunity to explore the benefits of these options. What kind of anesthesia is used for upper blepharoplasty? Upper blepharoplasty can be performed under local anesthesia, deep sedation or general anesthesia. In general, if blepharoplasty is performed as a stand-alone procedure, and the patient is not overly anxious, local anesthesia is recommended. We value the comfort and relaxation of our patients, so you are welcome to further discuss any concerns about sedation during the blepharoplasty procedure during the consultation. How is upper blepharoplasty performed? Excess eyelid skin is marked on the skin surface. Incisions are designed so that the scar would not be visible once the area has healed. Excess skin and or fat is removed, and the skin edges are closed precisely. 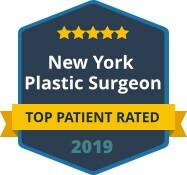 Dr. Khosh is an accomplished plastic surgeon who will guide you through the procedure and discuss potential results as part of a blepharoplasty consultation. You will also receive instructions on how to prepare for treatment and any follow up care needed to ensure a comfortable recovery. When would a brow lift procedure be recommended for an upper blepharoplasty patient? If clinical examination shows the descent of the eyebrow below the orbital rim, brow lifting will have a significant impact in restoring a youthful appearance to the upper eyelids. Dr. Khosh can use old photographs to get an idea of how the eyebrow used to look or employ his considerable experience as a plastic surgeon to rejuvenate the upper eyelids. There are also numerous aesthetic benefits to upper blepharoplasty, which Dr. Khosh may identify during an initial assessment. How is the recovery from upper blepharoplasty? There will be swelling and bruising of the eyelids for about seven to ten days. Pain is moderate and most patients feel quite comfortable with use of Tylenol alone. Applying ice and sleeping in a head elevated position will hasten resolution of the swelling. Patients can shower the day after surgery, and apply makeup once the sutures are removed in four to six days. Does insurance cover the cost of upper blepharoplasty? If redundancy of the upper eyelid skin is so severe as to interfere with peripheral vision, some insurance companies will cover the cost of upper blepharoplasty. This is because the surgery will have a functional impact. Speak to your insurance company to confirm whether blepharoplasty is covered if it has been confirmed that redundancy is affecting your eyesight. Who is a good candidate for lower blepharoplasty? Patients with puffiness or fullness of the lower eyelid skin and who want a more youthful and rested appearance to their eyes are good candidates. No matter how fresh you feel, the lower eyelids may tell a different story. A lower blepharoplasty can create a more aesthetically pleasing focal point that radiates throughout the face. If you are considering non-invasive treatments, lower blepharoplasty can be used in combination for enhanced results that last longer. Who is a poor candidate for lower blepharoplasty? Patients who must take blood thinners, those with uncontrolled high blood pressure or poorly controlled diabetes would not be candidates for upper blepharoplasty. It is important to provide your medical history at the point of consultation, where Dr. Khosh can discuss your viability as a candidate for blepharoplasty. We value the health of our patients. Therefore, Dr. Khosh will only recommend treatments that are both suitable and safe. What is poor eyelid tone and how does it affect lower blepharoplasty? The tightness or recoil of the lower eyelid is known as eyelid tone. You may test this by grabbing your lower eyelid and pulling it away from the eye. When you release the eyelid, if it snaps back into position quickly, you have good eyelid tone. If the lower eyelid returns to its position slowly or incompletely, you may have poor eyelid tone. In patients with poor lower eyelid tone, additional procedures to tighten the lower eyelid (canthoplasty or canthal suspension) may be necessary during lower blepharoplasty. What are the different techniques for performing lower blepharoplasty? There are two techniques for performing lower blepharoplasty which are trans-conjunctival (incision inside the eyelid) and trans-cutaneous (incision on the eyelid skin). Each procedure has its own indications. For younger patients without significant skin redundancy or in patients with laxity of eyelid margin, the trans-conjunctival approach is preferred. In patients with significant lower eyelid skin redundancy or when the orbital fat is transposed instead of removed, the trans-cutaneous approach may be preferred. What kind of anesthesia is used for lower blepharoplasty? We generally recommend sedation while performing lower blepharoplasty. The trans-cutaneous form of lower blepharoplasty can be performed comfortably under local anesthesia. 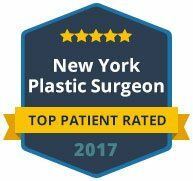 Dr. Khosh and his team are very approachable. If you have any questions or concerns surrounding anesthesia, you are free to ask over the phone or during a blepharoplasty consultation. How is the recovery from lower blepharoplasty? There might be slight oozing of blood from the incision site for half a day. There will be bruising and swelling in the lower eyelid region that usually resolves by the tenth postoperative day. Applying ice and sleeping in an elevated position will minimize swelling. Most patients will return to their daily activities within two weeks. 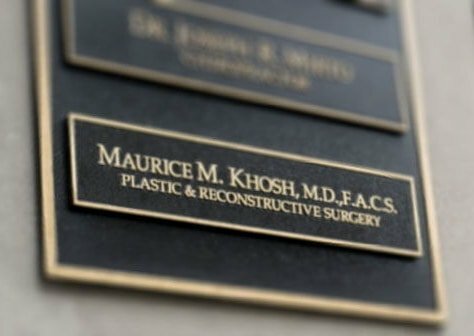 Dr. Khosh and his team are also available to address any concerns during recovery as a part of our commitment to excellence in aftercare. What is recovery for cosmetic eyelid enhancement? Typically, some bruising ensues following eyelid rejuvenation. This bruising is dissipated after 10 to 14 days. When skin sutures are present, they are removed 5 to 6 days following surgery. The patient may apply makeup following removal of the sutures. Eyelid surgery is usually not painful and patients do not require pain medication after the first day. Eyelid rejuvenation with upper and or lower blepharoplasty may be combined with other cosmetic treatments to enhance the facial appearance. A consultation can help you decide if combining treatments will provide the results that you desire from rejuvenation. Forehead lifts and facelifts rejuvenate the upper and lower face respectively. Coupled with upper and or lower blepharoplasty, lifts can significantly change the appearance of the face, resulting in a more youthful look that will roll back the years. Non-surgical treatments such as Botox injections and filler injections can soften the appearance of the forehead, crow’s feet region and the mid face. These treatments are fast, effective and affordable. Ideal for combination with blepharoplasty, non-surgical options are a popular choice for quick recovery and long-lasting results. Fat transfer from the lower body to the face can create a more permanent result than injectable fillers. Laser treatments with fractional lasers can erase fine wrinkles and improve the texture and color of the facial skin. This is your chance to explore the potentials of rejuvenated skin under the expert care of Dr. Khosh. Combining cosmetic procedures to better frame the face and enhance aesthetics is achievable with Dr. Khosh. There are a number of combinations that we may recommend, depending on the specific needs of the patient. 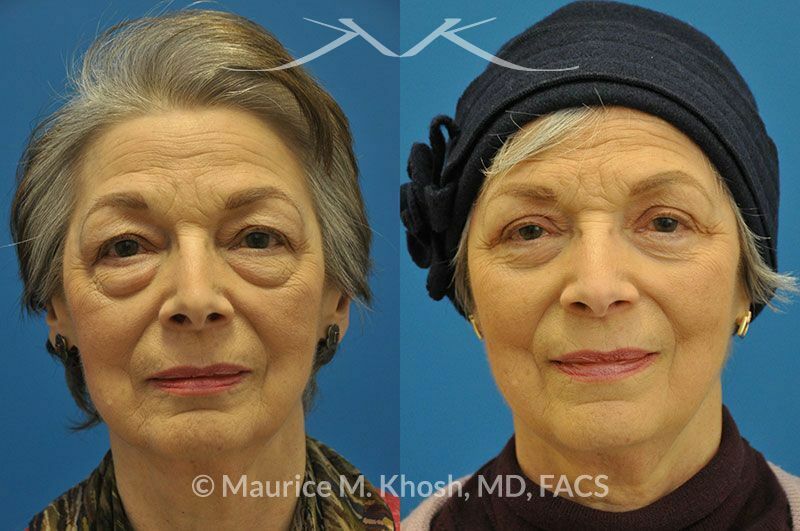 Old pictures may help Dr. Khosh recreate youthful features through these combined treatments. If you are interested in upper or lower blepharoplasty or combining treatments to achieve optimum facial rejuvenation, book a consultation with Dr. Khosh today.